An automatic sprinkler system is a great way to keep your yard looking great when all of the parts of working properly. Just one broken sprinkler valve can take a toll on your landscaping. 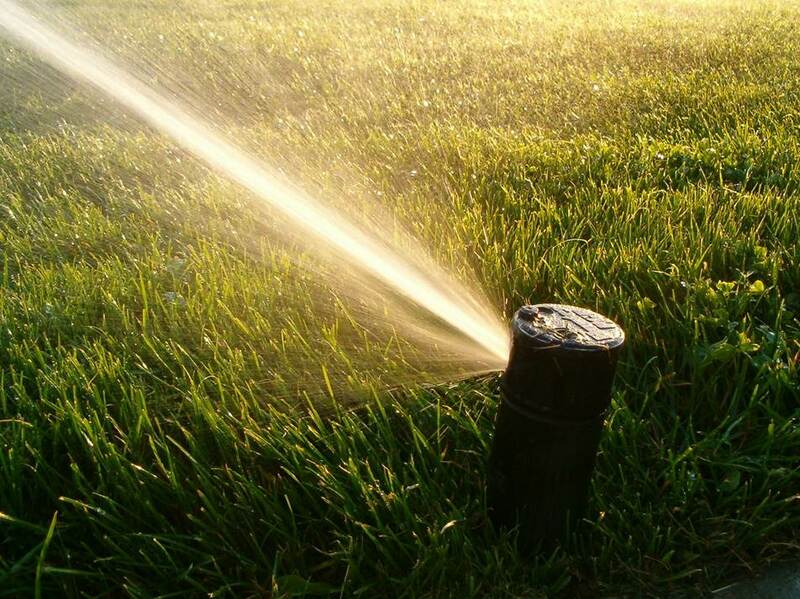 Taking care of a sprinkler valve repair at the first signs of trouble can minimize the damage. When a sprinkler valve stops working the first thing to do is to narrow down the problem and then decide if replacing the valve is best or if a sprinkler valve repair is in order. Narrowing down the problem will also help to determine what sprinkler valve repair is required. When a sprinkler valve is not turning on it can be an electrical problem or a water supply issue. A good place to start is by ruling out a water supply problem. To do this check the other sprinkler valves to ensure they are getting water and turning on. If none of the valves are turning on then look for the water shut off valve to the sprinklers. It could be that the water source is turned off and just needs to be turned back on. If only one valve is not turning on, check to see if it will turn on manually. When the valve works if started manually the problem is likely with the solenoid or the wires. 1.Start by checking the wires first. Make sure there is good contact where the wires connect. Check that there are no cuts or breaks in the wires. If the wires look fine it could be the solenoid. When the wires are damaged the best option may be to replace the solenoid completely anyway. But if the wires are just loose it may be possible to reattach them. 2.Replacing the solenoid is an easy sprinkler valve repair. 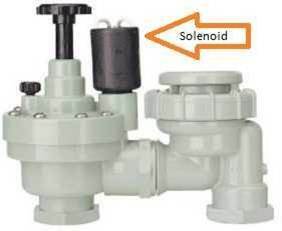 Look for the replacement solenoid for the valve brand and model at your local home improvement or hardware store. Shut off the water supply to the sprinkler system before beginning the repair. Remove the old solenoid from the sprinkler valve and set it aside. Insert the new solenoid into the valve the same way. Attach the wires of the new solenoid the same way that the old wires were connected. To protect the wires be sure to use waterproof wire connectors to attach the wires. When a sprinkler valve is not turning off it can be because there is debris inside or because the diaphragm (rubber gasket) is bad. If the diaphragm is torn or damaged it will not be able to stop all of the water so the sprinklers will not turn off. Rebuilding is a fairly common sprinkler valve repair, so rebuild kits with a replacement diaphragm are available for many valves. It is a good idea to have a rebuild kit ready before opening the valve just in case the diaphragm is bad. 1.For this repair start by shutting off the water to the sprinklers. 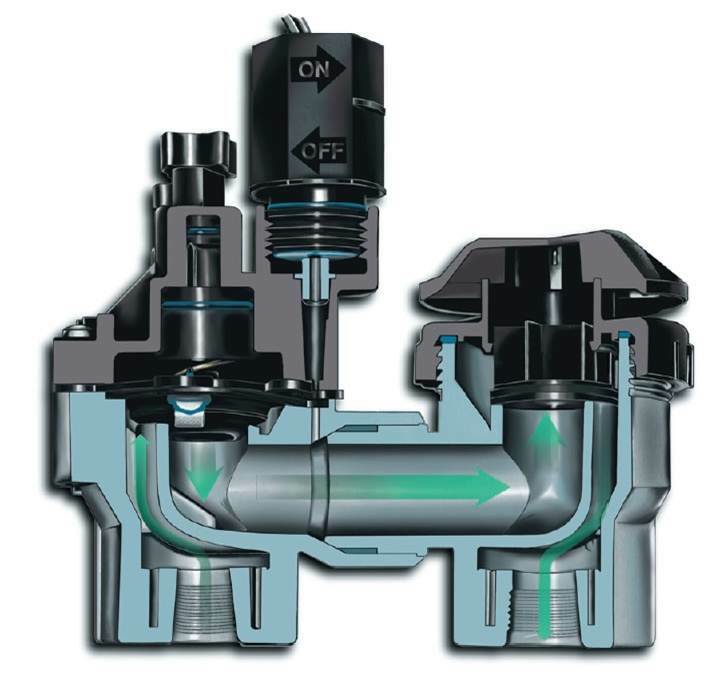 Clear the area around the valves to avoid getting anything inside the valve when it is open. 2.Remove the solenoid from the valve body and set it aside. 3.Remove the screws that are holding the bonnet in place. Carefully remove the bonnet, spring, and diaphragm making note of how they are positioned since they will go on the same way. 4.Check the diaphragm for any tears or damage. Even minor damage can prevent the diaphragm from stopping the flow of water. 5.Check the inside of the valve for small rocks or sand that may be obstructing the seal of the diaphragm. 6.Reinstall the diaphragm if it looks to be in good condition or install a new one. Be sure to position the diaphragm in the same way as it was before taking special care to align the openings with screw holes in the body. Position the spring and bonnet back into place. Then put the solenoid back into position. 7.Turn the water supply back on, slowly at first so the pressure doesn’t damage the valve, and test the valve for leaks. Check that the valve turns on and off properly.